"Kutani" Crane on German Porcelain? Any help appreciated! 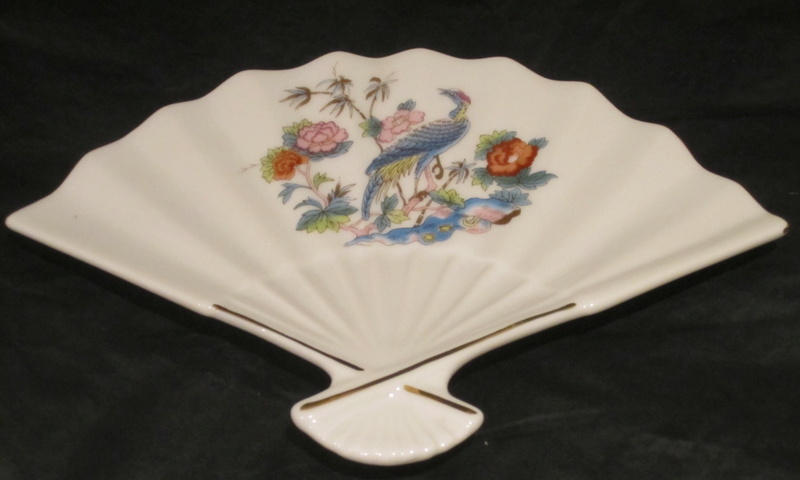 Included in a box of Wedgwood 'Kutani Crane' items I recently purchased was this small porcelain fan-shaped dish. The pattern is very similar but the crane is facing the opposite way and there are subtle differences in the flowers and foliage. 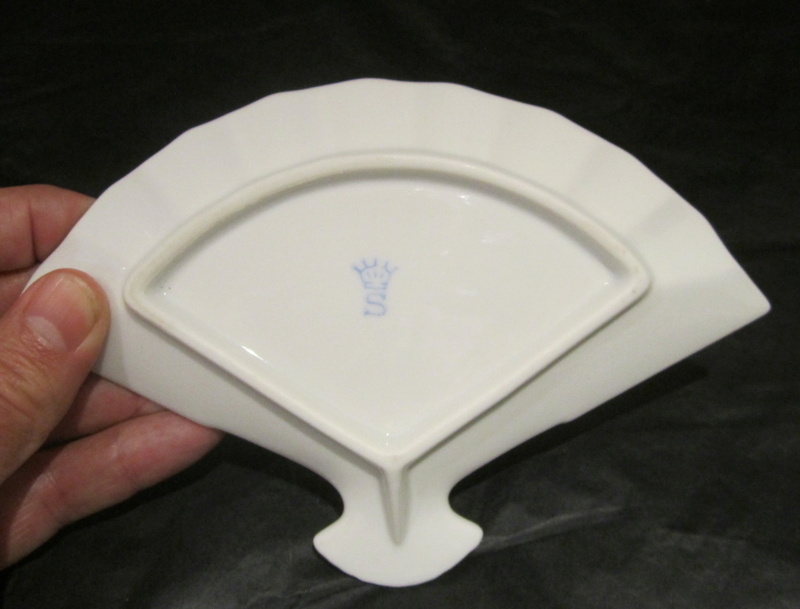 The base of the dish has a blue five-pronged crown with the letter 'S' beneath. My initial research points to Paul Donath but any thoughts on the maker, age and value would be very much appreciated. Thank you in advance!